One of the most surprising developments of recent years is the return of many ex-BR diesel locomotives to the main line. Ben Jones talks to some of the major players in this ‘re-emergence’ and finds out why it is happening. FLICKING through the pages of The RM every month, one of the most obvious trends of the last couple of years is the remarkable revival of many vintage diesel locomotives. From 60-year-old Class 20s delivering new Underground trains to utterly transformed Class 73s hauling Scottish sleepers, dozens of machines have been liberated from scrapyards and preserved railways to take up a second (or even third) career on the main line. 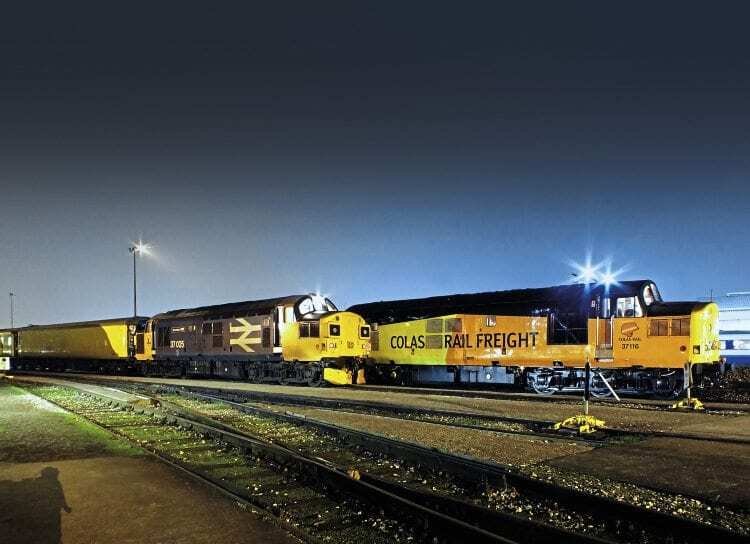 While this is a real boon for railway enthusiasts, bringing extra interest and variety to the contemporary UK scene, commercial railway companies must have a clear economic and operational case for taking this route – put simply, these machines have to earn their keep in the modern world. Since the early years of privatisation in the late-1990s, preserved or privately owned diesels have sporadically returned to the main line for railtour or short-term ‘spot hire’ work, but the recent renaissance of ex-BR motive power is a response to various factors affecting contemporary freight and infrastructure operators. Direct Rail Services (DRS) set the precedent for reviving older diesels in 1995-98 when it acquired 15 Class 20s and had them extensively modernised by Brush (20301-305) and RFS(E) (20306-315) for hauling nuclear flask trains. In the absence of any new type of low/medium power diesel locomotive, the ‘20s’ offered a quick and proven solution to the new operator’s go-anywhere requirements. A shortage of new locomotive designs to the UK loading gauge remains an issue today, especially now that Class 66 production has finally ended. Stadler’s 3,750hp Class 68 and General Electric’s 3,820hp Class 70 are the only straight diesel locomotives currently on offer to UK operators, and with a Route Availability rating of 7 (RA7), both designs are barred from large parts of the network – especially at its extremities. Read more in April’s issue of The RM – on sale now!